Ride a quad bike, smash a clay pigeon, accelerate a Polaris Ace out of the bend, fly a hovercraft 6 inches from the ground, hit the target straight in the bullseye! 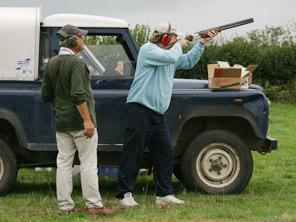 We have over 25 years experience, unique well maintained equipment and a beautiful 200 acre site... your visit to Henley Hillbillies will be unforgettable. Individuals and groups large or small – we do it all. 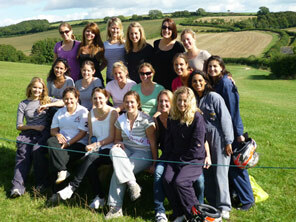 Whether you are entertaining clients or organising a stag/hen do, we have something special for you. Our activities and group sizes are flexible, and can be customised to meet your requirements and your budget – whilst still cramming in the fun! All safety gear provided at no additional cost. 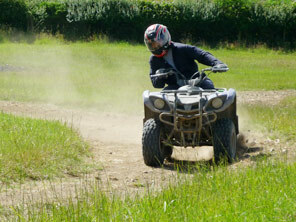 We look forward to taking you on an exhilarating action packed sporting day with a difference. Contact us now for more information or to make a booking.